Call the best pest control service in Crumpsall if you have a nasty infestation in your home or office. Why risk your family’s or co-workers’ health when you can easily get rid of all kinds of vermin, insects and creepy-crawlies with just a phone call to Pro Kill Environmental? You may discover that you share your home with a variety of pests like rodents, cockroaches, spiders, termites, and ants. Apart from being a nuisance, these pests also give the impression that your premises are unhygienic and unsafe. Rats and mice can ruin your furniture, wood-work, upholstery, electrical wiring, and also pose a serious health hazard. They spread diseases like plague and leptosporosis which are extremely dangerous and even fatal. Cockroaches, apart from being a disgusting sight, can also contaminate food and invade your bathroom, pantry and kitchen. We use environmentally safe products and methods to rid your home or commercial premises of pests. In Crumpsall, pest control services offered by us can help you get rid of wasps, fleas, bed-bugs, mice, squirrels, pigeons, moles, or ants in a safe and sure manner. 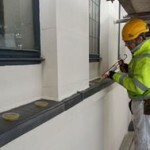 We undertake a range of services for any kind of domestic or commercial customers. This includes hotels, hospitals, nursing-homes, offices, factories, storage spaces, agricultural and industrial spaces, clinics, housing associations, councils, schools and colleges. We first undertake a thorough initial survey and based on this, we prepare a report and detailed quotation that describes exactly what the problem is and how it needs to be tackled, apart from the pricing structures. Besides being fully compliant with the British Pest Control Association standards, we are also members of other similar trades associations and bodies. This gives our pest control services in Crumpsall a definite edge when it comes to the quality of service and professionalism. Our inter-disciplinary team provides excellent advice about dealing with the problems that you’re faced with and we believe in providing complete and long-term solutions. Contact Pro Kill Environmental for more details about our pest control services. Safe usage of chemicals and pesticides is something that we’re very conscious of as we believe that our customers’ health and safety is of paramount importance. This entry was posted in Pest Control Service and tagged Crumpsall Pest Control Service, Pest Control Service in Crumpsall. Bookmark the permalink.